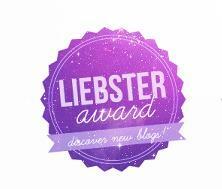 I am really pleased to announce that one if my favourite bloggers has nominated me for a Liebster Award. If you’re unfamiliar with what one if those is, then I shall enlighten you! It is a great platform in which a blogger can nominate some of their favourite reads, and then in return, spread some blog love. His blog is amazing and I personally really enjoy reading about his new adventures all around the world. For the award, you are asked a series of questions, so you can get to know me better. So, let’s get stuck in! Camp Leaders participants, and to guide them through the whole USA camp placement. 2. If you could only visit one country in the world, which would you visit? This is a hard one. There are so many places I want to visit. Right now, I’m looking forward to discovering more of the Middle East. So I guess it’s a continent, rather than one country! Another tough one. I rarely read, even when I travel! I love John Green, and my favourite one written by him has to be, Looking For Alaska. I’m currently reading Air Babylon, and I have to say, it’s hilarious! Especially if you too work in the travel industry. 4. What would be your ideal job? Good question! I’m about to start my dream job in Turkey as a children’s representative. Not many people seem to know what this entails, so just imagine lots of watersports, face painting and silly shows! Not to mention, hundreds of children. 5. Do you have a favourite quote or words that you live by? I think it’s fairly self explanatory. The book, ‘The Little Book of Buddhism’ is another great book just full of uplifting quotes. Pad Thai without a doubt! 7. If you could be anyone in history for one day, who would you be? I literally can’t even answer that, it is so so tough! 8. Do you have any fears? The ocean. Its so deep, dark and vast. So I guess along with that would be drowning. Which doesn’t make sense as I’m a qualified lifeguard. Probably this. Mainly because I’ll never forget learning about this during my time volunteering. 10. What is your guiltiest pleasure? I don’t care how lame this sounds, but I absolutely love one direction. I have no shame, my favourite vlogger/blogger Zoella also loves them, So that makes it ok??? In my mind anyway! What is your proudest moment is far? If you were stranded on an island, what 3 things would you take and why? Where is the one place you would like to visit? What would be your most essential beauty product and why? If you could do anything for one day, money being no object, what would you do? Thanks guys! I hope you taking part in this as much as I did. I look forward to reading all your answers and seeing who you nominate next!